A few weeks ago, upon completing his US/AZ Government class, a student at Hope High School Online, the Arizona online school where I teach social studies, mentioned to me, “This is great, I learned a lot, but how do I actually cast my ballot?” This was an interesting comment, as I realized that the process of voting is often glossed over in high-school classes. How can I remedy this? By creating a user-friendly, quick-and-easy guide to voting. We want students to become good citizens. Our Arizona online school promotes social responsibility as a U.S. citizen. To begin with, you must establish your citizenship. You must be able to prove that you are a US citizen and a citizen of the county that you’re voting in. Citizenship can be established either with one form of photo I.D. or two forms of non-photo I.D. (Explained below.) Also, you cannot vote if you’ve been found guilty of a felony and your full rights have not yet been restored. Finding out your designated polling place is easy. Go to www.azsos.gov. On this site, there is a place for you to place your street address and it will immediately give you the voting precinct you belong to in addition to your polling place. Valid U.S. federal, state, or local government issued identification. First, be prepared to stand in line and wait awhile. Many of the election volunteers are elderly, and therefore might not be the quickest in getting voters checked in. Once you’re called up, you will need to show your I.D. 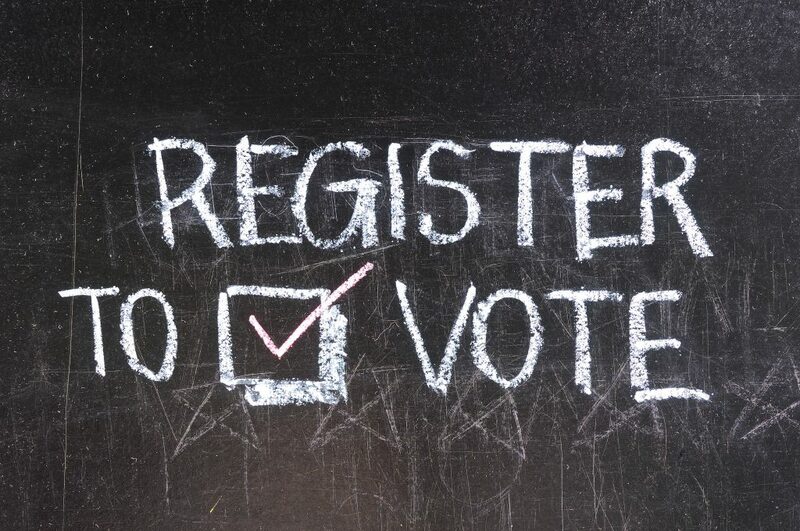 (s) to the election workers and your name will be checked off on their list of registered voters. You will then receive your ballot and be directed to an open voting booth. Once there, you will use the provided marker (usually a Sharpie) and “fill in” the arrow head and tail next to the candidate of your choice. By completing the arrow, you will have made your choice. In addition to candidates, the end of the ballot will have bills and measures that are up for vote. Carefully read these, as quite often the verbiage will be somewhat vague and long-winded in what is ultimately a “yes/no” question. Be sure that if you want to vote “yes,” you are not voting against the measure being proposed. Did you know that 4 out of 5 of our students go on to higher education? And that many of them came to us really struggling? Some had serious behavior issues, others were failing academically, some students have health issues, and others don’t want the stress of being in a negative or unsafe environment. Whatever your student’s challenges are, at Hope High School Online we find ways to help our students succeed. Find out more about how we help students succeed academically and position them to succeed in the future. Go HERE to download our free information kit and find out about why students succeed at Hope High School Online.